Agents from NCIS have charged several prisoners, who used social media and online dating sites, with extortion and money laundering for blackmailing members of the military for money. The scheme cost 442 service members from the Army, Navy, Air Force and Marine Corps from across the United States more than $560,000 in financial losses. The prisoners used fake names, posed as women and exchanged naked pictures through Vancouver-based Plenty of Fish, and later demanded payments not to reveal the photos. Some inmates made fake claims that they were children and threatened to report to law enforcement unless targeted members of the military paid them online. 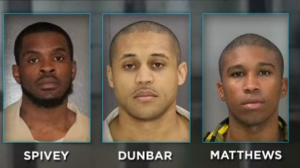 The extortion was made possible because prisoners were given cell phones, wireless Internet access and were allowed to have access to external financial services from a FinTech called JPay, which provides banking access to criminals in jail through MoneyGram. NCIS alleges that the criminals, although incarcerated, laundered the proceeds of crime through the JPay app. It’s unclear who does the AML compliance for prisoners using the JPay service. And theoretically, its unclear whether every transaction qualifies for a suspicious transaction and must be reported. A petition of several states to the Federal Communications Commission for permission to control wireless access in prisons, stated that prisoners use cell phones acquired illegally and wireless access to coordinate gang activity, extort money, engage in credit card fraud online and sell drugs – all from prison. 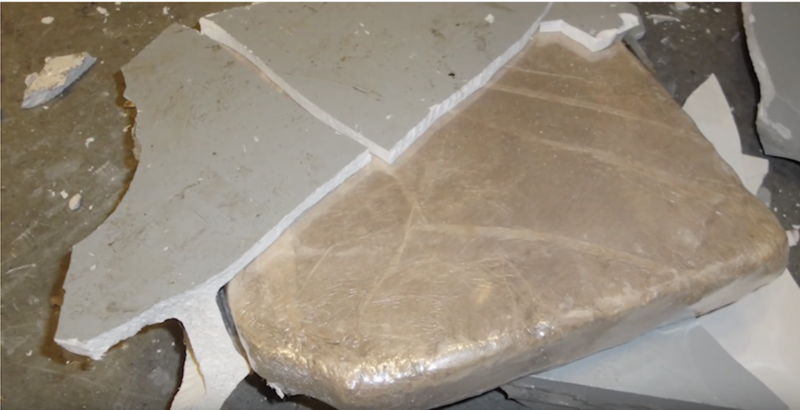 The Bulgarian police have seized a transport truck from Iran attempting to cross the Bulgarian – Turkey border with 288 kilos of pure heroin, with a street value of $15 million at the low end. The heroin was dry-walled, meaning each brick of heroin was covered individually with drywalling material. According to the US 2019 Narcotics Report, Iran is a significant narcotics trafficking country, where narcotics are exited to Turkey or Iraq and then to Eastern Europe. The US State Department determined that its global illegal narcotics activities are assisted by the fact that Iran has a large underground economy, spurred by uneven taxation, widespread smuggling, sanctions evasion, and its expatriate community. That expat community is in Canada, US, UK and Germany. Over 40% of opiates from Afghanistan enter or transit through Iran. 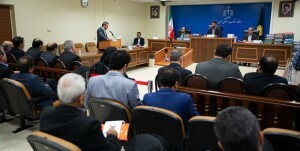 On Tuesday, Iranian officials spoke to the Iranian media and confirmed that a government organization – Iran Telecommunication Research Center – has 4 Blockchain projects in progress that have looked at using Blockchain for policy making, threat management and business use cases for Iran. Further, they announced that a project at Sharif University, funded by Iran, developed a taxi app for consumers using Blockchain which launched an ICO already. The Iran Telecommunication Research Center is interesting for another reason – it facilitated the introduction of Ericsson’s 5G to Iran in 2017, and tested 5G for government officials (see the aggressive photo attached from the Ericsson event in Tehran of a military aircraft with 5G on the wings). Iran’s Irancell and Ericsson signed an agreement for 5G in Iran in 2017 to make it available in Iran by 2020. Irancell is a government owned and controlled organization, and it is said by Iranians, to be owned and controlled by the Islamic Revolutionary Guard Corps and foundations controlled by the Supreme Leader, Ayatollah Khamenei. China and several other countries in Asia are ahead in 5G research, innovation and deployment whereas Canada is quite behind, and even at deployment, will be required to buy and use technology from foreign countries, as well as to risk the compromise and abuse of its user data to foreign parties, whether they be commercial or non-commercial parties. 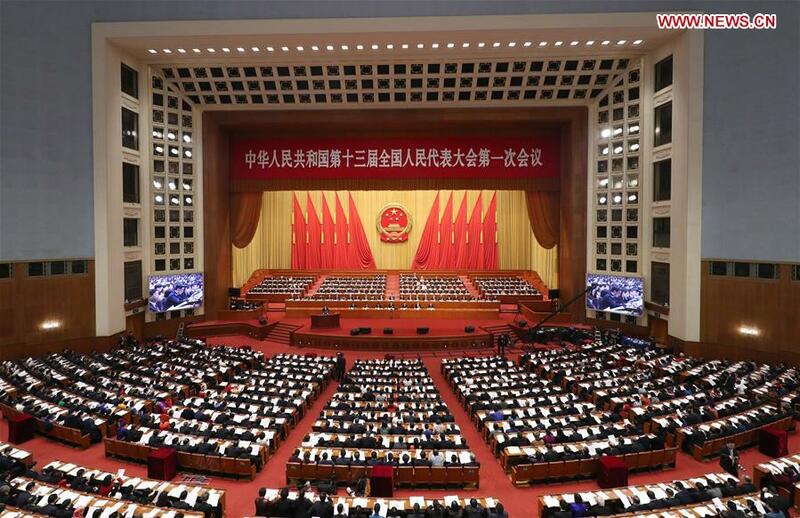 China’s Supreme People’s Procuratorate, the highest national legal supervisory body in China (which reports to the National People’s Congress), published a commentary by a learned legal scholar on its official website on the use of Blockchain for Court evidentiary purposes yesterday, noting that for it to grow as a source of reliable evidence in Chinese Courts, data from the Blockchain will have to pass third party independent certification. Otherwise, the scholar noted, it will not be accepted by judges and Courts. The legal scholar goes on to mention that the Hanghou Internet Court has accepted the use of Blockchain for electronic data storage. That is not the same as it being relied upon for the proof of the evidence by Courts and judges. The Hanghou Internet Court’s decision in respect of Blockchain information was confirmed by the Supreme People’s Court in September 2018. That case involved a litigation over copyright protection and in that case, the Blockchain was used as part of the process to establish proof of the date in which an interest in a copyright was asserted. That is important in copyright law where proof of use and/or assertion is material but does not speak to proof of evidence of the content on information stored on a Blockchain. In the article on the Procuratorate’s website, the legal scholar reviewed developments in this area emanating from Vermont, in contrast with China. A Canadian company, Crypto-Copyright, in 2015, was the first in the world to create a smart contract system to enable a person or a company to record copyrighted interests on a Blockchain using micro-transactions of a digital currency. Marjan Sheikholeslami, an Iranian foreign national, now living in Toronto, Canada, is alleged to have played a major part of a financial crime case with an Iranian petroleum executive, Reza Hamzehlou, and is on trial in absentia in Iran for disrupting Iran’s financial system to the tune of €6,600,000,000. Mr. Hamzehlou was the CEO of the Iran Petrochemical Commercial Company (“PCC”), an arm of the National Iranian Petrochemical Industries Company. Ms. Sheikholeslami and 13 others, including Mr. Hamzehlou, are also alleged to have violated sanctions by transferring funds out of Iran by using so-called front companies in Turkey. The indictment is over 700 pages and involves 3 defendants who have left Iran. According to the prosecutor, among other things, Mr. Hamzahlou in collusion with Ms. Sheikholeslami, transferred €659 million to a company she owned in Turkey and transferred another €347 million to other sources in Iran, all of which were funds owed to the petroleum company. The prosecutor alleges that Ms. Sheikholeslami was the main partner of Mr. Hamzehlou. Mr. Hamzehlou has admitted, through his lawyer, the sanctions avoidance aspect of the indictment using foreign front companies to move money, but says that he did it to assist the Iranian regime to sell oil. Ms. Sheikholeslami admits working with Mr. Hamzehlou for the purposes of assisting the PCC. In this article, the company is mentioned as engaged in sanctions work-arounds (aka sanctions avoidance), to export petroleum products from Iran. But Reza Hamzehlou had more corporate activity outside of Iran besides the companies with Ms. Sheikholeslami in Turkey — he is listed in the Paradise Papers Database as owning two companies in Malta for unidentified purposes. Malta is known for its lax counter-terrorist financing and anti-money laundering compliance standards. Mr. Hamzehlou travelled to Malta in 2008 with other business partners in a different capacity, namely the CEO of a large conglomerate called the Iranian Investment Company (“IIC”). He met with a lawyer for advice on arranging the investment of US$500 million to buy PetroPars, an Iranian petrochemical company. PetroPars has projects in Venezuela and Angola, as well as Iran. Money seemed to have been no object and Mr. Hamzehlou informed the law firm that IIC controlled numerous Iranian companies. The Malta lawyer disclosed the existence of the client, the purpose of the meeting and client emails to, among others, the US Department of the Treasury here, informing them that he had a long-standing relationship with Mr. Hamzehlou. Tags of the communication to the US Department of the Treasury included “terrorism finance traffic”, “government” and “terrorists and terrorism” – tags which indicate that Mr. Hamzehlou’s activities raised red flags on the magnitude of international security. How Mr. Hamzehlou and his associates were able to be banked, particularly through the correspondent banking system, remains a mystery. Mr. Hamzehlou went to Brazil and set up a company there as well, and was active in the media explaining how Iranian oil and gas products could tap into South American and Asia markets. 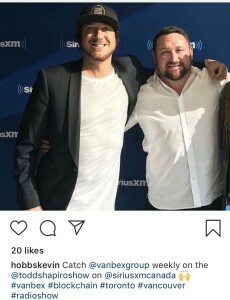 Mr. Hamzehlou appears to have had a higher level of connection to the Supreme Leader, Ayatollah Khomeini. Inter alia, he is noted by Iranians (and by a reporter with Radio Free Europe) as having been selected to chair, and did chair, a conference associated with Sheikh Naeem Qassem. Sheikh Naeem Qassem is not an inconsequential person – he is the 2nd in command of Hezbollah. The #2 guy. The reports say that the conference was organized for an association under the patronage of the Ayatollah. It is a significant honour in Iran to have bestowed upon you, the duty to chair such a conference and if this is true, it should not be doubted that Mr. Hamzehlou was and may still be, part of a small inner circle of persons with access to the Supreme Leader. Iranians on social media have remarked that they spotted Mr. Hamzehlou in Qom and were surprised since they thought he was incarcerated. Qom is where you go to consult with the senior clerics, including the Supreme Leader and the expression “going to Qom” means, in commercial circles, that you did a consultation or went for a blessing for a business venture. Qom does not come to you – you go to Qom. Back to the connection between Ms. Sheikholeslami and Mr. Hamzehlou – they both have said in different venues as part of the trial reporting, that they were business partners. His close connection to the Iranian regime and in particular, allegations if true, of chairing a high profile conference involving the Hezballah leadership, should have been a red flag for Immigration Canada to consider during the vetting process of her. Marjan Sheikholeslami is also known as Marjan Sheikh al-Islamami and Marjan Sheikholeslami Al Agha. Like Mr. Hamzehlou, she is a politically exposed person. 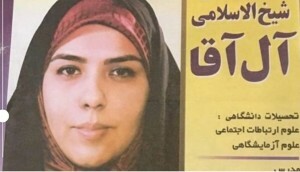 Ms. Sheikholeslami is said to have worked as a reporter for the official newspaper of the Iranian government, the Islamic Republic News Agency, a coveted post for insiders. خبرگزاری جمهوری اسلامی‎ is funded, and its content controlled by, the Ministry of Culture and what is called Islamic guidance. It publishes the voice of the Supreme Leader, Ayatollah Khomeini. She is also alleged to have worked for Sepanir Oil & Gas Energy Engineering in Tehran, a sanctioned company, said to be owned by the Iranian Revolutionary Guard Corp. (“IRGC”) but her connection to Sepanir, if true, is not part of the current criminal proceedings in Iran. The IRGC too was sanctioned by the US on December 19, 2014, under the Iran, North Korea, and Syria Nonproliferation Act and on October 25, 2007, was added to the Specially Designated National list maintained by the US Department of the Treasury’s Office of Foreign Assets Control, freezing its assets under US jurisdiction and prohibiting transactions with US persons pursuant to Executive Order 13382, which targets proliferators of weapons of mass destruction. Ms. Sheikholeslami made a statement recently about the case from Canada, in which she says that she did not flee Iran and returns often [which means she has an Iranian passport that she renews and switches out to use in Dubai to board a flight to Tehran]. She stated that in 2014, she managed the two companies named in the indictment and that they were not involved in money laundering. She says that she has not been served in Canada with notice of the indictment and has therefore not hired a lawyer. Another co-accused, Mohsen Ahmadian, a retired director of the petrochemical company, is accused of participating in the scheme and of moving €78 million in cash. He was an employee of the Iranian Ministry of Petroleum and his family are all politically exposed persons for several reasons, including by association with Mr. Hamzehlou. He has a daughter and son in Canada. The Iranian prosecutor has changed the numbers that allegedly disappeared but it appears that of the €6 billion that was moved, half came back to the company, leaving €3 billion unaccounted for. Three weeks ago, the prosecutor said that Iran has sought the extradition of Ms. Sheikholeslami. They are likely only going to succeed in obtaining an extradition order if the charges include money laundering. In the past, however, Iran asked Interpol for extradition, which suggests that they do not appear to be familiar with how extradition works. Allegedly, Ms. Sheikholeslami claimed refugee status in Canada, although that has not been confirmed, but that is unlikely because first, she says she did not flee Iran and second, it would put her citizenship at risk of being revoked for misrepresentation because one cannot both flee a country, claim refugee status for fear of prosecution in that country and then return for commercial purposes to the country in which you fear persecution shortly thereafter. Two other indicted persons are living in foreign countries, likely Canada, but that has not been released by the prosecutor yet. Organizations in the EU tend to have a more relaxed approach to sanctions – here, for example, a Swedish company said it was helping Iranian companies to use Bitcoin through Sweden. This blog is covering the financial crime prosecution in Iran of Mr. Hamzehlou and Ms. Sheikholeslami, et. al. Canada has several Iranian foreign nationals wanted in Iran for financial crime, including another politically exposed person, Mahmoud Reza Khavari (you can read about him here), who was convicted of embezzling US$2.6 billion from an Iranian state-owned bank. He moved to Toronto, Canada where he parked hundreds of millions in luxury real estate. Canada has declined to assist with his removal from the country. Another, Mehregan Amirkhosravi, an Iranian foreign national lives in Montreal and was also convicted in the US$2.6 billion embezzlement case. According to media coverage in Iran, in testimony given in the trial in Tehran on April 13, 2019, Mr. Hamzehlou testified that the IIC also involved Ms. Sheikholeslami, and that is how he came to know her and to seek her assistance with sanctions avoidance. The IIC is the company referred to the US Treasury, described above, for terrorism concerns in Malta. He testified that she is a prominent person in the Iranian government, and was considered an expert at Iran’s parliament in cultural Islamic issues. Ms. Sheikholeslami’s court appointed lawyer stated, according to media coverage of the case in Iran, that she participated in sanctions avoidance through private companies as a money broker and that she had provided a public service to the country. A lawyer for one of the parties then asked why, if Ms. Sheikholeslami provided a public service to Iran, she fled Iran and carried out the financial transactions in secret through front companies. In response as to why she has not appeared to testify, her appointed lawyer said that she is in Canada. According to media coverage in Iran, the other defendant connected to Canada, Mr. Ahmadian, testified that he moved money out of Iran through Swiss bank accounts and that he set up a Swiss private company for that purpose. He apparently testified that if he was a sinner, he would have stayed in foreign countries (e.g., Canada and the EU) and not returned to Iran (his two children acquired Canadian citizenship despite being connected to Mr. Hamzehlou). A Canadian, originally from China, named Xie Jing Feng, was ordered deported a few weeks ago to India by the Hong Kong Court of Appeal, to face trial for drug trafficking. Xie Jing Feng came to Canada from China in 1998, where he applied for refugee status, which was granted on the grounds that he alleged that he had a fear of persecution for being part of a Christian group in China and needed protection in Canada. He was subsequently granted Canadian citizenship, with his wife Zhu Li-chang. 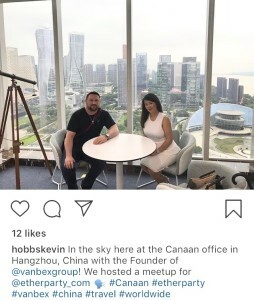 He is included in the Offshore Leaks databased as a Canadian and is a convicted money launderer, who moved the proceeds of crime equal to HK$95 million through banks in Vancouver, China, Macau and Singapore. The couple lived in Vancouver, British Columbia, and had a house in Richmond. They appear to have used the Cook Islands as an offshore vehicle. In 2008, Xie Jing Feng travelled to India where he was arrested for possession of meth. He was held in the Baroda Central Prison for three years on remand, waiting for a trial and during that time, he alleges he was routinely tortured. In April 2011, he managed to escape prison in India and made his way to Nepal. He was arrested when entering Nepal for illegal entry and detained. Two months later, he was arrested by the Nepal Narcotics Control Bureau for drug trafficking. While being detained, he paid a government official $3,000 for a fake passport under an alias and was allowed to escape to the Airport, where he took a flight to Bangkok. 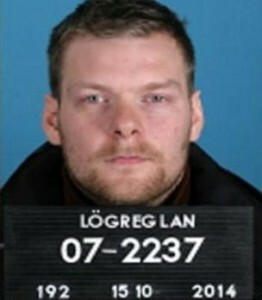 He then traveled to Hong Kong and was arrested for illegal immigration for entering with fake ID. He was charged and convicted in Hong Kong of offences related to fake ID for immigration purposes and served a term of incarceration of 8 months. Upon his release for fake ID and immigration offences, he was arrested for money laundering (處理已知道或合理相信為代表從可公訴罪行的得益的財產). It was found that he had 3 Canadian passports (two that were alleged to be fake), which he used to open bank accounts at HSBC and Standard Chartered in Hong Kong, where he laundered HK$95 million through shell companies and through his wife. The money was moved between Vancouver, China, Macau and Singapore. He was convicted and sentenced for money laundering in Hong Kong for a term of incarceration of 4 years and 4 months on April 23, 2013. Two years into his sentence, the government of India applied for the extradition of Xie Jing Feng to India and upon his release from prison on March 21, 2015, he was arrested and detained for extradition to India. He then applied to be deported back to Canada and resisted extradition to India on the ground that he would face an unfair judicial process and would be harmed or killed. He was ordered extradited to India and appealed that order for over 4 years, arguing that the delay to prosecute him in India (11 years) would amount to a denial of justice and he would “rot” in prison in India in remand if extradited to India. The High Court of Appeal for Hong Kong denied the last appeal for Xie Jing Feng, and he was ordered extradited to India. He is listed on a CBC list of Canadians with offshore dealings that were identified as part of the investigation called Offshore Leaks by the International Consortium of Investigative Journalists, which includes the CBC. His multiple Canadian passports, his alias, David Chow, and other names with fake IDs that he used to travel, made him an elusive person to follow. Sometimes non-lawyers ask me about the SNC Lavalin situation – some don’t get what all the fuss is about. And I get why they don’t get it – while most lawyers across Canada were troubled by the prospect of the interference in a prosecution by politicians for political gain occurring in Canada, I think it resonated a little less with non-lawyers. Lawyers sit through long classes in law school and have to read sometimes upwards of 2,000 pages of caselaw per night, the material parts of which deal with ancient concepts of law and equity, constitutional law and the rule of law. The rule of law becomes part of our DNA and we bristle at the prospect of political interference in prosecutions because it isn’t just that there is interference in stopping a prosecution that is contrary to the rule of law, it also means that the opposite is possible, namely that there could be interference to commence a prosecution. If as a society, we cross the line and stop a justified prosecution for political gain, will we cross a worse line and commence a wrongful prosecution against an innocent person for political gain? They are just difference sides of the same coin. The SNC Lavalin case is like a doping case in the Summer Olympics. Imagine Canada has a superstar athlete who wins a gold medal in the 50 free at the Summer Olympics – arguably the hardest, most prestigious Olympic event there is. At the medal ceremony, our superstar swimmer stands on the podium, receives his gold medal, the world sings “O Canada” and the whole country feels proud. A few days later, we find out our star swimmer cheated and won the 50 free with the use of illegal drugs. Then we find out that he has been charged with doping in the past and cheated before. The World Anti-Doping Agency has to take some action. They decide to ban him from competing in swimming for two years. Two years is harsh – it means he will lose his endorsements, his coach and his entourage will be out of a job, and he will never recover because swimmers have a short competitive shelf life. After the head of the World Anti-Doping Agency makes her decision, the head of the International Olympic Committee, who is a Canadian, asks her to change her mind. The head of the World Anti-Doping Agency is consistently lobbied to let this one untrue play slip by. She is asked to consider the harm to the swimmer of a two year ban and the harm to his family, his coach, his team. Jobs are at stake. She says no, the agency has a duty to enforce the principle that athletes must play true and uphold the integrity of athletics, otherwise what do we stand for, if not integrity? The world is looking at us, she says, to make this right, to deliver justice. The head of the Olympic Committee fires the head of the World Anti-Doping Agency and replaces her.